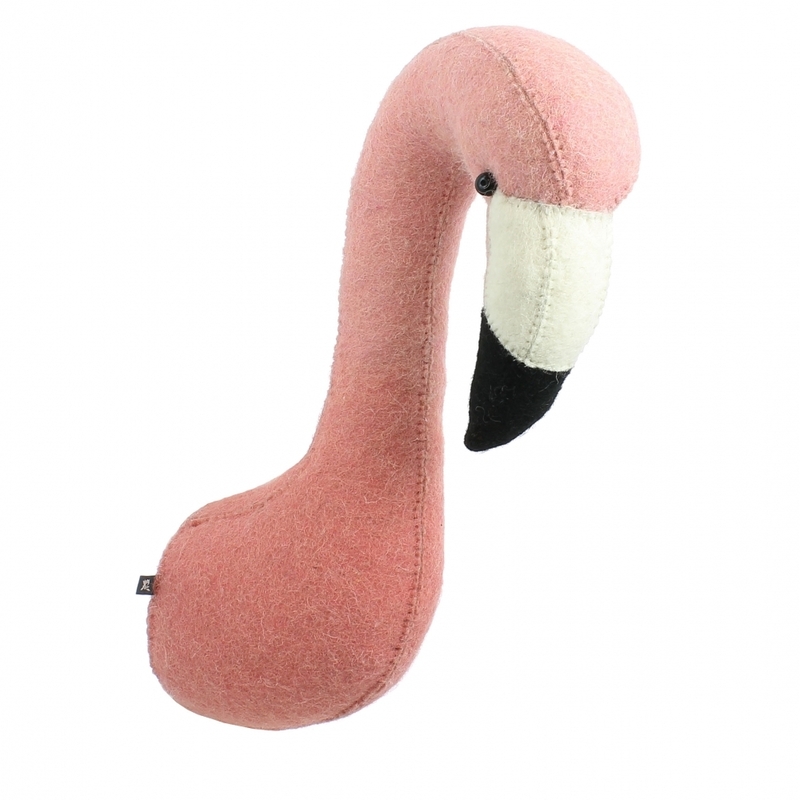 Add fun and character to your home with this Mini Dip Dyed Flamingo Felt Animal Wall Head from Fiona Walker England. A hand crafted wall mounted animal head which will be appreciated by adults and children alike. This quirky, flamingo head will make a modern style statement on any wall and could be teamed up with other animal heads, rugs and storage bags from Fiona Walker to make a themed room.